If you’ve come across German company Fohhn before, you’ll appreciate that they have no truck with the concept of picking a price and then building a system to fit it. Instead they build the best speaker they can, then work out what it is going to cost — and that’s just the case with the new PT-70 reviewed here. The only way to really put a system like this through its paces is to try it at an outdoor festival, which is exactly what we did at Malvern’s annual West Fest. This medium-sized festival takes place on a large sports field with a maximum capacity of maybe 4000 people — and we needed a system that could be heard clearly and with adequate volume all the way across the field. At the same time we needed something ‘hi-fi’ enough to handle a wide range of musical genres, from folk to funk. Systems Workshop, Fohhn’s distributors in the UK, had just received the new PT-70, a 2x12-inch (plus horn) passive speaker, the specifications (and more importantly, the practical results) of which turned out to justify its initially eye-watering price. To put this into perspective, although the price is undeniably high as viewed from the MI market, it is actually very competitive when compared with other speaker manufacturers (such as d&b Audiotechnik) in the ‘big boys’ league. We were provided with two PT-70s, two 15-inch passive subs, two 18-inch passive subs and Fohhn amplifiers (a D-2.1500 for the mid/tops, and a D4-4.1200 for the subs) to drive them. All this fitted into a modest-sized van, making it a practical proposition for system operators who want to spend more on a good sound system and less on a vehicle to transport it. I’d have been happy with one sub per side but Systems Workshop insisted — and who am I to turn down such an offer? Based around a rather exotic internal acoustic design, the PT-70 hosts two specially built, neodymium-magnet, 12-inch-chassis drivers feeding their own compression chamber and horn, plus a 1.4-inch HF compression driver feeding into a constant-directivity horn. This is most certainly not just a case of putting a couple of cone drivers and an HF horn in a rectangular box! Extensive computer modelling was deployed before the final design was arrived at. Two versions of this speaker are available, one with a 90-degree horizontal coverage and one with a 60-degree coverage (measured at the -6dB points). Both have a 50-degree vertical coverage. We used the 90-degree version. The crossover between the compression driver and the cone drivers is passive, a strategy Fohhn have used with great success in the past. Fohhn stress that this is only a crossover, not a bass/mid high-pass filter, so the PT-70 must not be used without Fohhn DSP, which handles the bass/tops crossover and many other functions including EQ, delay and filtering. An amplifier such as the D-2.1500 model includes a library of DSP-controlled presets for the different speaker systems they may be required to feed. In addition to taking care of any EQ and filtering requirements, the amplifier presets also set the appropriate protection parameters for the selected speakers. High-frequency driver protection within the PT-70 is provided by Fohhn’s Intelligent Protection Circuit, or IPC, which is based on a fast-acting voltage-dependent semiconductor circuit. 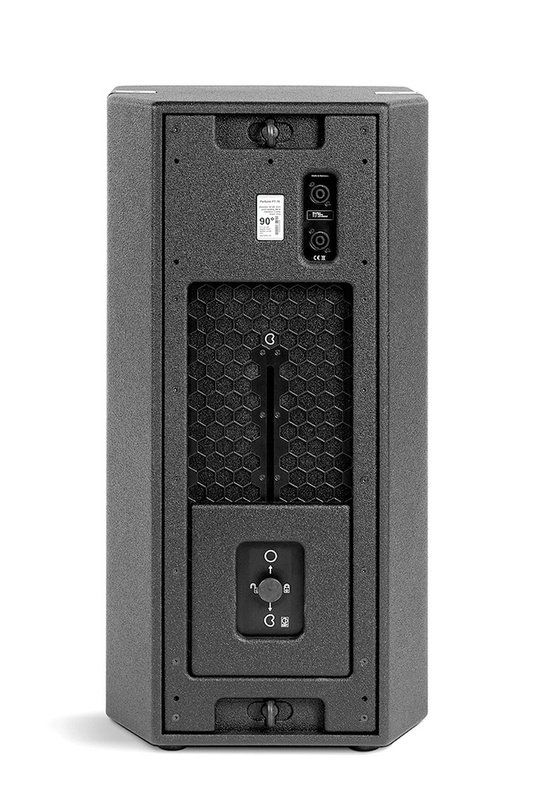 A somewhat unusual design feature is something Fohhn call Convertible Dispersion Technology (CDT), which relies on a sliding plate on the rear panel that changes the polar pattern of the cabinet between cardioid and a more omni-like response in the lower mid-range. In cardioid mode the low/mid spill that is audible behind typical cabinets is significantly reduced. Fohhn say that the acoustic design of the cabinet provides effective side-lobe suppression through the use of a mid-range waveguide. Phil Beaumont from Systems Workshop delivered the system and set it up for us in advance to avoid any potential ‘finger trouble’ — for which we were most grateful. He also used a computer connected to the system to check the individual speakers were working correctly. Fohhn’s Convertible Dispersion Technology allows you to change the speaker’s radiating pattern in the lower mid-range.Outwardly the PT-70s look like fairly conventional boxes — all the clever stuff is out of sight behind the powder-coated steel front grille, which is backed by a thin layer of acoustic foam. Constructionally the cabinets are made from steel-braced birch plywood with fittings on either side to take the optional support cradle. For flying, the two Quicklock fittings are compatible with flying brackets and Aeroquip flying tracks with two further eyelet points for fixing safety restraints. Overall, the weight is around 39kg per speaker and the dimensions are 400 x 800 x 450 mm. That may seem heavy for a 2x12 cabinet but it is actually quite light for a cabinet that can do what this one can. As standard the cabinets come in black but can be ordered in any RAL colours. The finish itself is a scratch-resistant, waterproof textured polyurethane coating formulated to resist UV — even the driver cones have a water-resistant coating. To put some numbers to the system, the frequency response is quoted as 52Hz to 20kHz (at the -10dB points under anechoic half-space conditions with the speaker preset engaged). The nominal speaker impedance is 4Ω, and while the low-end response may not seem to go down as far as some ostensibly full-range, compact speakers you may have seen, the PT-70s are designed to be used only as part of a system that includes subs. The maximum SPL is an almost unbelievable 140dB at one metre and the power handling is listed as 900W nominal, 1800W ‘programme’ and 3600W peak, with all the measurement details and IEC conformity spec listed in the manual. No fuzzy and vague figures here! But enough of the techy stuff. How did these little beauties perform? The Fohhn subs delivered their usual deep but tightly controlled sound and integrated seamlessly with the PT-70s. The complete system sounded typically Fohhn — that is, pretty much like an extremely loud hi-fi system and with no need for further system EQ. After setting up, Phil played some pre-recorded music through the system while myself and co-engineer John Hewitt walked away to see how far the sound would travel. When we walked to the other side of the field, the clarity was exceptional and the volume high enough that it still felt a tad too loud for comfort, even at that distance. The horizontal dispersion was also impressively wide while the more controlled vertical dispersion helped us keep the power where we needed it rather than wasting half of it on the ground and sky. Controlling the vertical dispersion also helps give the speakers more ‘throw’. Both John and myself had to agree that it was the best PA system of its size that we have ever heard. Our setup was to use a low stage under the edge of a large marquee and facing outwards so the band (and gear) would be under cover if it rained. The bass bins were then ground stacked using a couple of wooden palettes to keep them off the grass, with short poles to support the tops via their cradles. This arrangement would also allow us to reverse the system in preparation for the evening performances where most of the audience usually move inside the tent and the musicians play into it rather than out into the field. To provide some in-tent coverage during the day, we set up one of John’s LD Stinger speakers behind the band, close to the tent wall, facing diagonally into the tent. This sounded noticeably much harsher than the Fohhns, but set at a modest level it filled out the sound nicely — with some help from my four Mackie SRM350 active stage monitors, which anyone behind the stage would also be able to hear. Amazingly this simple setup exceeded all expectations in delivering a consistent sound for those out in the field and those inside the tent — which is also where the bar was. When it came to the evening, we simply rotated the rightmost PT-70 speaker towards the bar at the opposite corner of the marquee, and left the subs and the other PT-70s facing into the field for those brave enough to stay outside. Then we moved the stage mics and monitors so the bands could face the other way. This was a complete success, giving us reasonably even (and surprisingly loud) coverage in the marquee with still plenty of power thrown out into the field. John’s LD speaker again filled in the corner behind the band but at a much lower level than from the main system. The last act to play was a funk band — and they were loud with lots of low end to keep the subs awake. The kick drum came over deep and well defined, the toms sounded huge and the snare drum retained all its depth and definition. There were many comments on the quality of the sound, and even though we didn’t push the system nearly as hard as Phil did when doing his setup test with pre-recorded music, the sound carried beautifully. 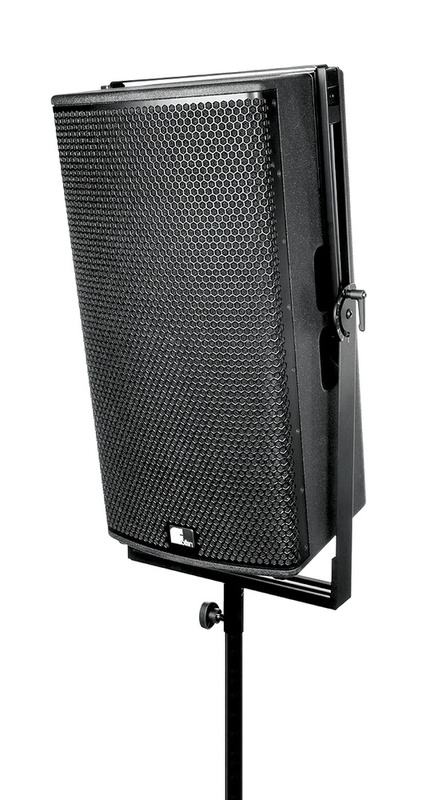 Now, a PA system like this, including the subwoofers and amplifiers, will cost you as much as a very respectable mid-priced car, but given that it can handle events on this scale in its stride, it’s probably just as cost effective as buying twice as many cheaper boxes and then having to invest in a bigger van to transport them all. 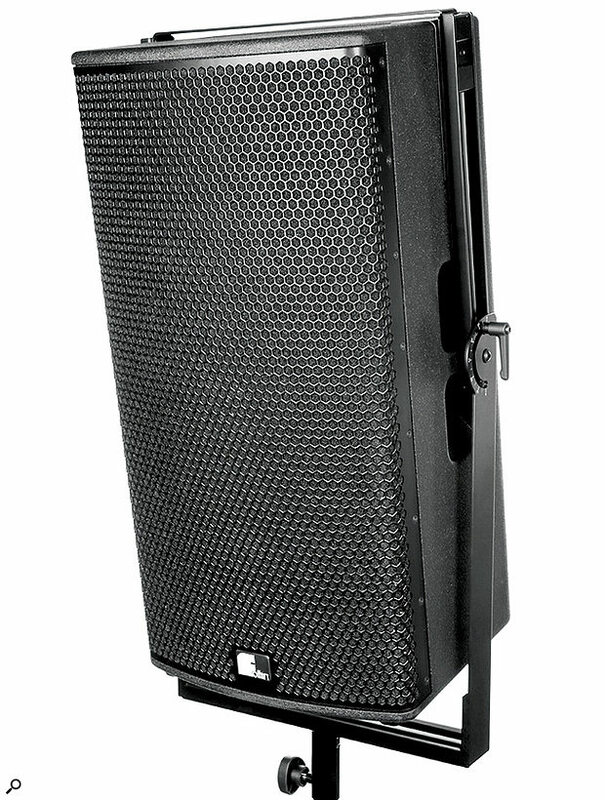 It is likely that only bands doing a lot of lucrative work in larger venues will be able to justify such a system, but for hire companies, event organisers and installations, the PT-70s, teamed up with two or four Fohhn subs, really do provide a dream system — and at a price that compares very favourably with their main competition. I could swear that John Hewitt shed a tear or two when Phil came back to take the system away again — I came pretty close. Fohhn’s main competition is probably d&b Audiotechnik, also a German company, but when you get to this level, the air is pretty rarified. Prices per unit, including VAT.Prices converted from GBP. A small system can cover a very large area at high SPLs. Not too large or heavy to be portable. Competitively priced for a truly high-end system. No cons that I can think of, other than that I can’t afford one! 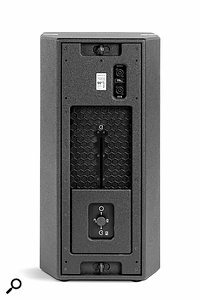 While not many individual bands will be able to justify a system such as this, anyone needing a compact hire rig or installation capable of delivering near hi-fi quality at high SPLs really should take a closer look.